In the early 1950s members of the Ta’amireh bedouin tribe began turning up at the Rockefeller Museum in East Jerusalem to sell legal papyri, some of them in Nabatean Aramaic. This prompted expeditions to find the source or sources of these documents. 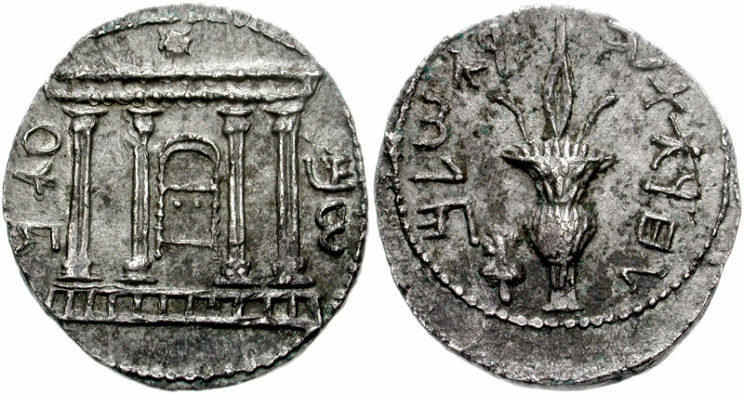 Barkokhba-silver-tetradrachm. CC-BY-SA 3.0 via Wikimedia Commons. Bronze Bowls found in Wadi Hever. CC-BY-SA 3.0 via Wikimedia Commons. The oldest four of the papyri (P. Yadin 1 from 94 CE and P. Yadin 2, 3, and 4 from 99 CE) are written in Nabatean Aramaic, the first by one scribe and the other three by his brother. It has long been recognised that P. Yadin 2 and 3 relate to the sale of a date-palm orchard in the Nabatean town of Maoza, on the southern shore of the Dead Sea in 99 CE by its owner, the Nabatean woman ’Abi-‘adan. She first sold the orchard to one Archelaus, a Nabatean strategos, virtually a provincial governor, and then, just one month later she sold an enlarged version to Babatha’s father, Shim‘on. Bringing P. Yadin 1 and 4 into the picture allows the intriguing story of the purchase to be told. Shim‘on must have given the orchard to Babatha later (perhaps on the occasion of her marriage) because she registered it among her property in the Roman census in 127 CE of what had then become (since 106 CE) the province of Arabia. Her registration document (P. Yadin 16) is very well preserved. These documents proffer pervasive evidence for the importance of date cultivation in the local economy. Extensive irrigation systems, well within the capacities of Nabatean hydraulic engineering, were required to be installed and maintained to keep the thirsty date-palms watered. Dates kept well, had a high food value (then as now being used by nomads moving across the desert) and attracted a good price. There was also date cultivation at En-Gedi, on the western side of the Dead Sea, again, in irrigated fields. 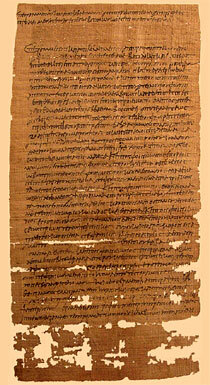 Many other papyri from the region are agricultural in nature, especially in recording sales or leases of farm-land. Yet date cultivation was clearly a precarious business. Large fortunes could be won by engaging in it, but so too could they be lost. Nabatean men seem regularly to have borrowed from their wives to finance their involvement in this form of agriculture. Such loans were secured against the husbands’ property and the deeds gave wives ample power to foreclose if necessary. 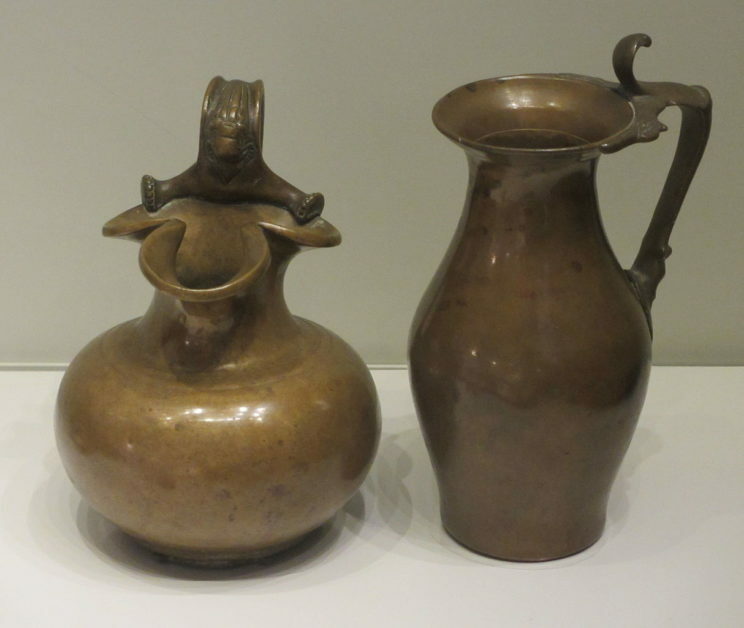 After her second husband died owing her a large sum of money, Babatha seized dates from orchards of his and was then sued by the children of his first marriage to stop her. Her wedding contract with her second husband, which he himself drafted, is P. Yadin 10. Another aspect of the social and economic unit that was Maoza in 99 CE illuminated by these four papyri is the good relationship existing between Shim‘on and his Nabatean neighbours. He is indeed the only Jew mentioned among a large crowd of Nabateans who were parties to the deeds, relatives of those parties, witnesses and scribes. Yet we see him not only entering into a transaction with a Nabatean woman, without requiring any Jewish witnesses, but also securing help in his acquisition from a Nabatean strategos no less. Archaeological evidence suggests that people living in this region at the end of first century CE wore the same clothes and were buried in the same way. There was a shared culture even if Jewish and Nabatean Aramaic were somewhat different, with the latter having a heavy infusion of Arabic words. When relations between various ethnic and religious groups in this region are so fraught today, it is salutary to consider another historical setting, such as Maoza in 99 CE, when relationships across the two main ethnic groups were demonstrably positive. Featured image credit: ‘Dead Sea Landscape’. Public Domain via Pixabay. Philip F. Esler is the Portland Chair of New Testament Studies, University of Gloucestershire. He is a Higher Education administrator and academic who became the inaugural Chief Executive of the UK's Arts and Humanities Research Council (AHRC) in 2005, remaining in that role until 2009. From 1995 to 2010 he was Professor of Biblical Criticism at St Andrews University. From 1998 to 2001 he was Vice-Principal for Research and Provost of St Leonard's College at St Andrews. During the years 1999 to 2003 he served as a member of the Board of Scottish Enterprise Fife. From October 2010 to March 2013 he was Principal and Professor of Biblical Interpretation at St Mary's University College Twickenham. He had an earlier career as a lawyer, working in Sydney during 1978-81 and 1984-92 as an articled clerk, then solicitor and barrister. 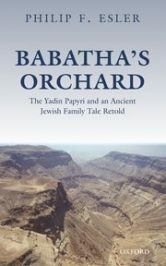 He is the author of Babatha's Orchard: The Yadin Papyri and an Ancient Jewish Family Tale Retold (OUP, 2017). Fascinating insight into a distant world – and a feisty woman.